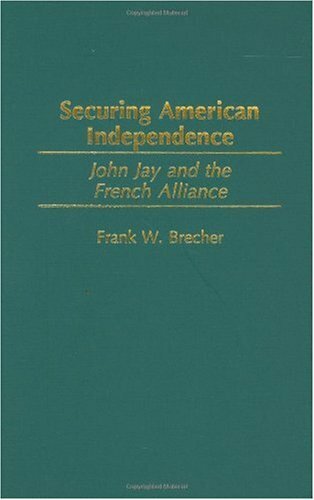 Few leaders of the new American nation had more influence than John Jay (1745--1829), or could match his accomplishments and contributions in all three branches of government, at both state and national levels. A leading representative of New York in the Continental Congress, Jay became one of the American commissioners who negotiated peace with Great Britain, securing independence for the former colonies. He served the new republic as secretary for foreign affairs under the Articles of Confederation, as a contributor to theFederalist Papers, as the first chief justice of the United States, as negotiator of the 1794 "Jay Treaty" with Great Britain, and as a two-term governor of the state of New York. In his personal life, Jay embraced a wide range of religious, social, and cultural concerns, including the abolition of slavery. This volume launches a new edition of selected correspondence of John Jay to be published in seven volumes at eighteen-month intervals. The work consists of a wide-ranging selection of the most significant and interesting public and private documents and letters, written or received by Jay, annotated and interspersed with commentary as needed. 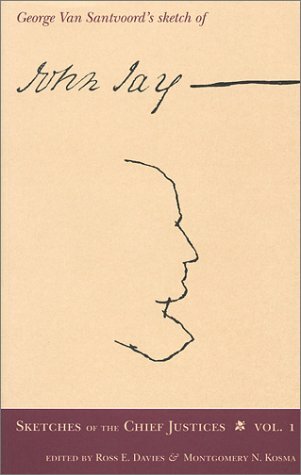 The edition is designed to revise and complete work begun in the late 1950s by Richard B. Morris, an eminent Jay scholar and Columbia University professor, who supplemented the major collection of original Jay Papers at Columbia with copies of Jay documents secured from archives throughout the world. Morris and his staff published two volumes covering the era of the American Revolution and began work on a projected two additional volumes before his untimely death. The new project is administered by the staff of Rare Books and Manuscript Room of Columbia University Libraries. 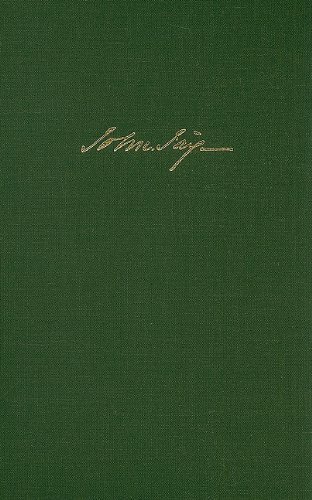 The Selected Papers of John Jay, 1760-1779 begins with Jay's education and training as a socially elite, Anglican, King's College-educated lawyer. Although this path led most of his associates into Loyalism, it brought Jay, and such friends and correspondents as Robert R. Livingston, Gouverneur Morris, and Alexander Hamilton, into the front ranks of New York's moderate revolutionary leaders. 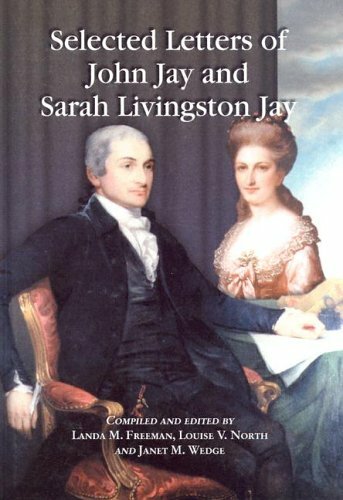 Jay's marriage to Sarah (Sally) Van Brugh Livington in 1774 tied him to the influential Patriot family headed by William Livingston, and added to his crew of witty, articulate, and politically astute correspondents. Jay soon found himself a leader of New York's revolutionary committees and a delegate to the Continental Congress, where he sought reconciliation with Great Britain but promoted war preparedness, and applied his much-admired writing skills to drafting major congressional reports and addresses. With his state facing invasion, he returned to New York to help organize the new state government and to combat "plots, conspiracies, and chimeras dire" as a member of committees dealing with loyalty and security issues, including the one that unearthed the notorious Hickey Plot. He then helped to organize Hudson River defense and to draft the state constitution of 1777, and late in 1778 returned to Congress, where he supported New York's claims to the breakaway territory of Vermont and served as president until he was appointed the country's first minister to Spain in September 1779. The volume closes with John and Sally Jay's eventful voyage to Europe, with a brief layover at Martinique after their ship was dismasted and rendered virtually rudderless. This volume is an extraordinary collection of early American history told through the letters of John Jay, founding father, diplomat, revolutionary, abolitionist, first Chief Justice, and governor of N.Y., 1795-1801. Readers will learn firsthand the precarious situation of the revolutionary forces against the British, the struggle for independence, and more,through Jay's correspondence with George Washington and his generals, Thomas Jefferson, and others. Most intriguing are the sundry interesting tidbits so characteristic of Jay's letters, such as how to graft trees and select heifers, to a description of the weather and the roads or a house he had visited, detailing both the conditions of the house and its inhabitants.A look at Jay's affectionate letters to his wife, Sarah Livingston, and their children provides a glimpse into his personal tragedies and joys.These letters shed light on a great American patriot and his contributions to our country. When contemplating "history" it's easy to forget that to the participants it was nothing of the kind, but simply their daily lives.The charm and delight of this splendid book is the intimate view of the lives its historic figures were living while they made history-at once instructive and highly entertaining.It's also a great continuing love story, all seen through the letters between John and Sarah Jay, plus a mix of letters to and from family members and other figures of historic moment like Washington, Jefferson, Hamilton, Franklin and Adams (John, Samuel, John Quincy and Abigail).It's tied together with just the right amount of editorial comment, never intrusive, always helpful and succinct, giving us background and amplification just when we need it, including illuminating details about the Jay and Livingston families and the times they lived in-all presented in a most readable format, illustrated with engravings and a wonderful color portrait on the cover of John and Sarah. Their lives were entwined with the very matter of our country.They married as the Revolution was brewing, in mid-1774, and were almost immediately separated, occasioning the first letter we see from John to "Sally," as he called her, when he was chosen as one of four delegates from New York to the first Continental Congress in Philadelphia.John would go on, of course, to co-author the "Federalist Papers" with Hamilton and Madison, become the first chief justice of the Supreme Court, governor of New York, our country's envoy to Spain, raising funds to support the war, a negotiator with Franklin and John Adams in Paris to end the war, then, at Washington's urgent request, negotiator of what would be the controversial "Jay Treaty," averting renewed war with Britain.Sarah came from a distinguished colonial family, her mother a van Brugh, New Yorkpatroons, her father, William Livingston,the first elected governor of New Jersey, her brother Brockholst named a Supreme Court justice by Jefferson. John Jay's active public life took him away from his Sally often, and they corresponded diligently, the thread through it all the couple's deep abiding love.Her letters to him open, "My dear Mr. Jay" (his to her, "My dear Sally") but that was just the formal fashion of the time.In the body of those letters-along with fascinating details of daily life and family-we find "good night, my love," "my dearest of best friends," and "Oh my dr. Mr. Jay how I long to see you." The details of family life are amazingly involving.Sarah reports on her care of family finances, the progress in building a saw-mill, everyone's health, family gossip (when John's brother remarries with what the family considers indecorous haste after his wife's death, they refuse to visit him or his bride)-and makes us care about these matters.John describes his duties and gives us many passing insights into what is now "history" as well as what life was like then (he fears he will not be able to get home from riding the judicial circuit, as planned, because rains have rendered the roads impassable).We see that in many areas of family life, nothing changes over the centuries.Grandparents dote. When Sarah accompanied John to Europe, their son, Peter, stayed with her father.William writes, "...as you desire me to tell you what I think of him, I will give you my Opinion with the greatest impartiality.He really is and without flattery one of the handsomest boys in the whole country..."
In Selected Letters we also get marvelous travel writing, with rich descriptions of places like Martinique and Cadiz.Sarah tells her father how she saw sugar being made. Her brother Brockholst describes Carnival in Nantes (the free and easy Romish ways, and exposed flesh, shocked his prim Protestant Puritanism).In one chatty letter Sarah warns her sister not to heed travelers who laud the beauty of European women: "...believe me it requires a greater degree of beauty to be only passable in America, than to outshine all the Grandees of-I won't say where. "She ends that letter with the casual P.S. "Please present my most respectful Compts to General & Mrs. Washington." There is a great frisson throughout the book when we encounter the many eye-witness views, like that, of the people and events of our country's founding (Sarah's next letter to her sister explores the gossip about Benedict Arnold's treason and notes the widesperead pity for his wife).Sarah dines with Lafayette ("the Marchioness is a most amiable woman"), sees Marie Antoinette at plays and lays aside her own "republican principles" enough to observe that her looks and engaging manner make Sarah "declare her born to be a queen." William writes to his handsome grandson, now off at school "We have good news about a peace, and that king George is forced to lett us alone, and how foolish will the Tory-boys look then, Master Peter?" John writes to offer Washington lodging in New York until presidential accommodations are finished; Washington invites the Jays to the theater.From Paris, Jefferson sends John "samples of the best wines of this country," including "Champagne non mousseux (i.e. still)," which the French reserve for themselves, sending the bubbly to "foreign countries. "John assures Washington that the president is the most popular figure in England, excepting only the king-who to John's amazement is still very popular, though "owing to his private rather than his official character." There are modern resonances, too, throughout the book.John is intrigued by growing commerce with China.Sarah describes how supporters of George Clinton stole a gubernatorial election by invalidating, on a specious technicality, the votes of two counties that would have won it for John. The about-to-be "Federalist Papers" writer gives Washington his views on "What is to be done" about the weakness of the Confederation preceding the Constitution, stressing the importance of separation of powers with its checks and balances: "Let Congress legislate. Let others execute.Let others judge." When John is governor, Hamilton tries unsuccessfully to enlist him in a scheme to steal votes from Jefferson in order to keep "an Athiest in Religion and a Fanatic in politics from the presidency. Finally, there is a view, seldom discussed, of Northern slavery.In Martinique, on his way to Spain, John "bought a very fine negroe Boy of 15," and he took another with him when he went to negotiate the Jay Treaty.On the other hand, during the stolen election, the Clinton forces attacked John for his strong advocacy of abolition.When young Plato-whom Sarah sends to school, though despairing of his learning much-so misbehaves that Sarah wants him out of the house, he is neither beaten nor "sold down the river" but apprenticed to a merchant.And when Abbe comes down with "a violent Cold," Sarah "prevail'd upon her to remain in bed," even though Sarah, herself, has "not slept for several nights," tending her children through an attack of smallpox.This is slavery-but with a difference. Its recital epitomizes the intriguing, fly-on-the-wall, honest, moving and engrossing insights that this marvelous book gives us.